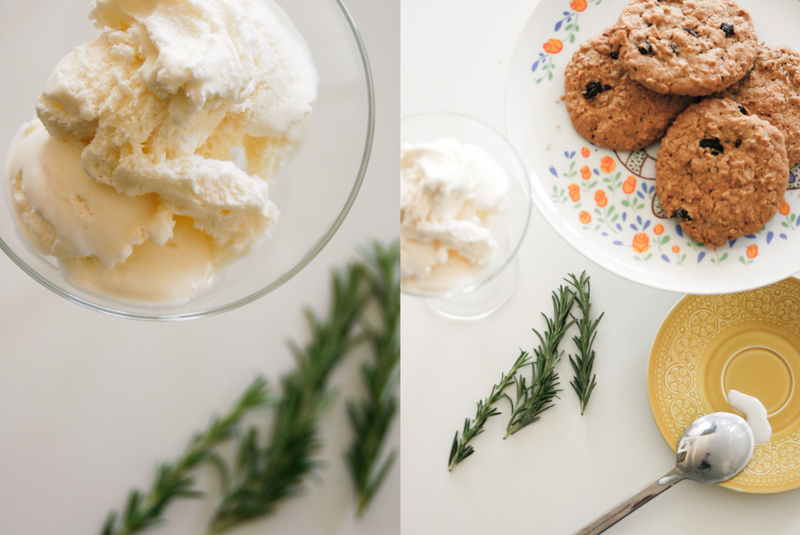 Herbs in your ice cream? Que loca! Trust me, this is the yummiest treat. 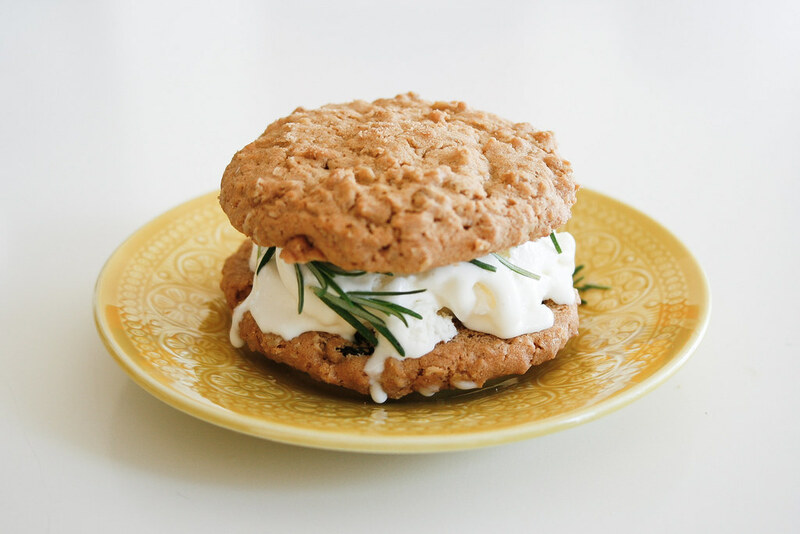 And all you need is creamy vanilla, a sprig of rosemary and two oatmeal raisin cookies. Simple and delicious. 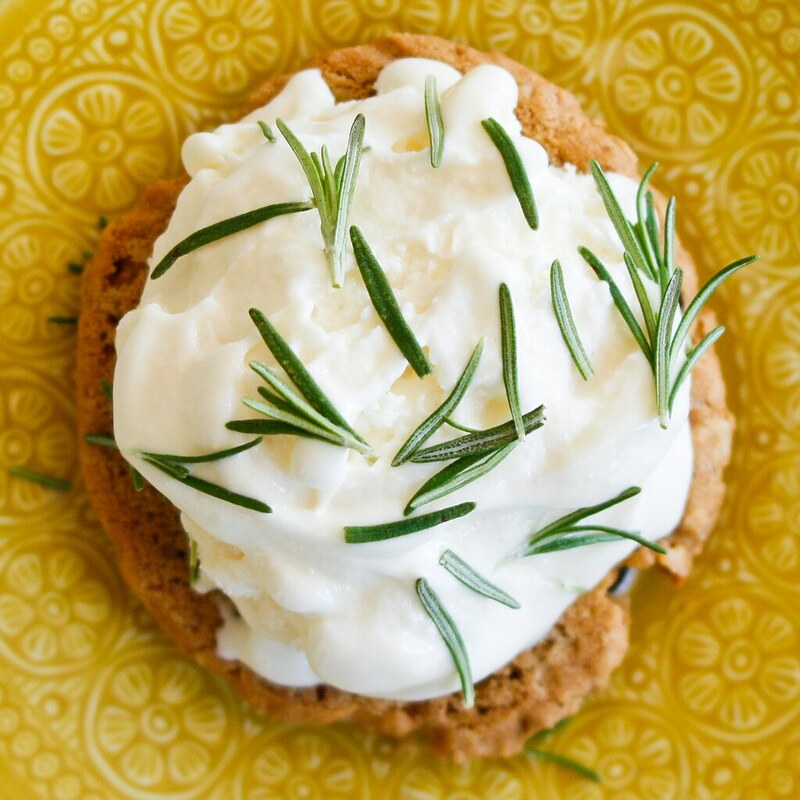 I remember vividly the first time I had rosemary in my ice cream, it was from Capogiro in Philly and it was sensational! Instead of daydreaming about it, I worked up this little recipe for y'all. I already had two, so enjoy!